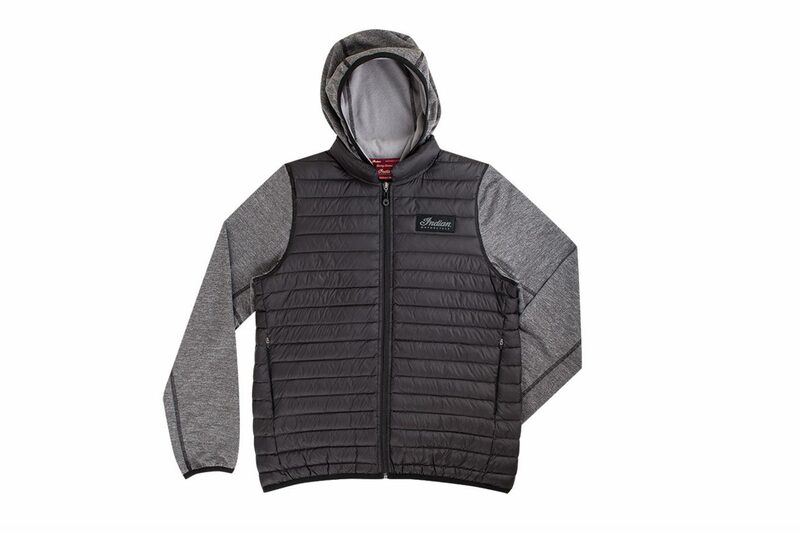 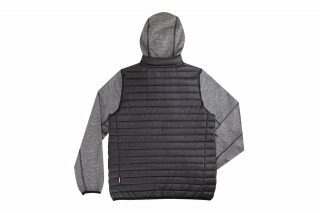 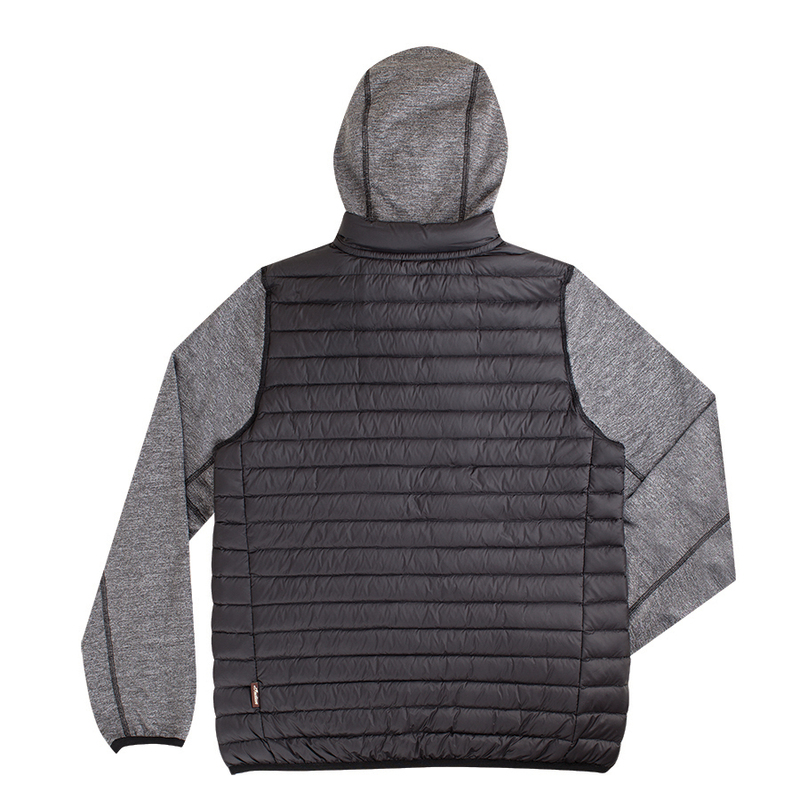 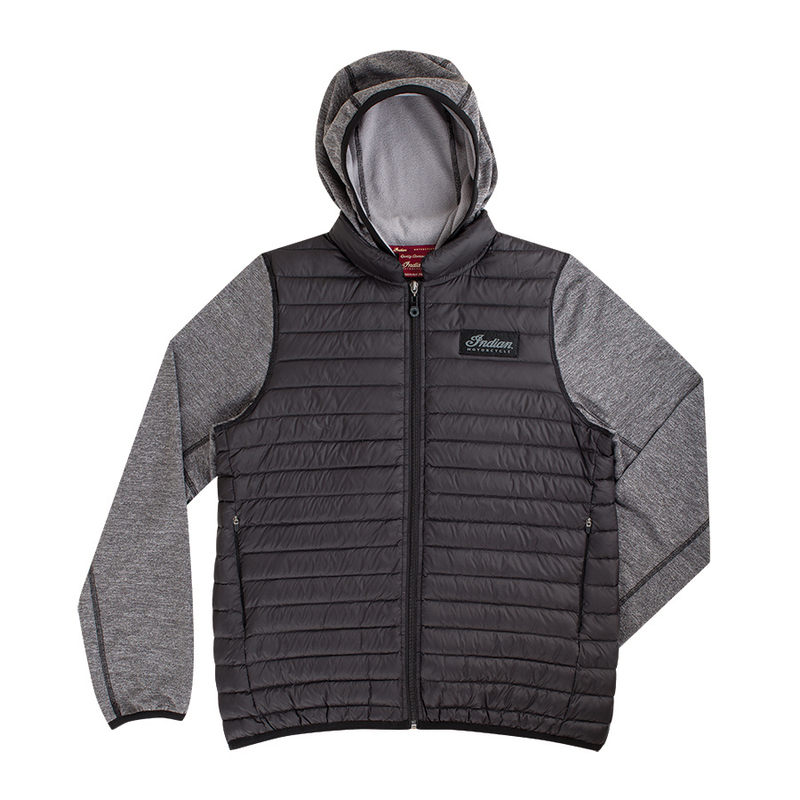 This is a new kind of item for Indian; a quilted goose down filled hoodie. 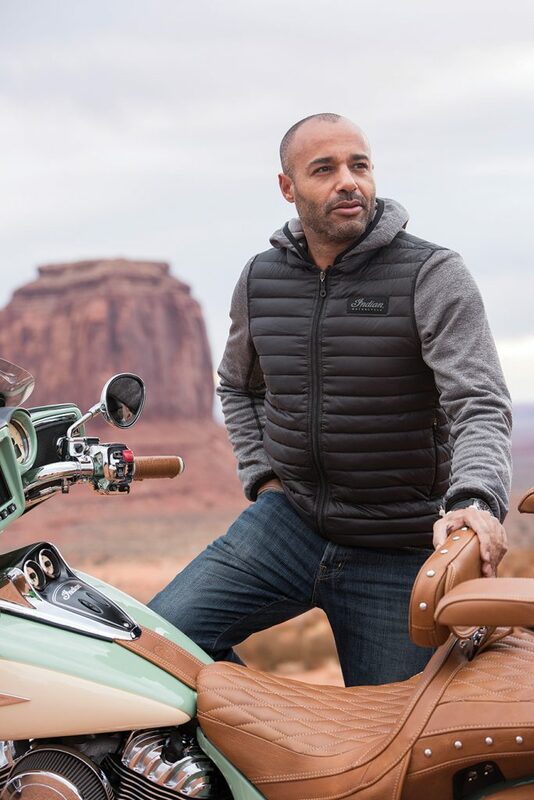 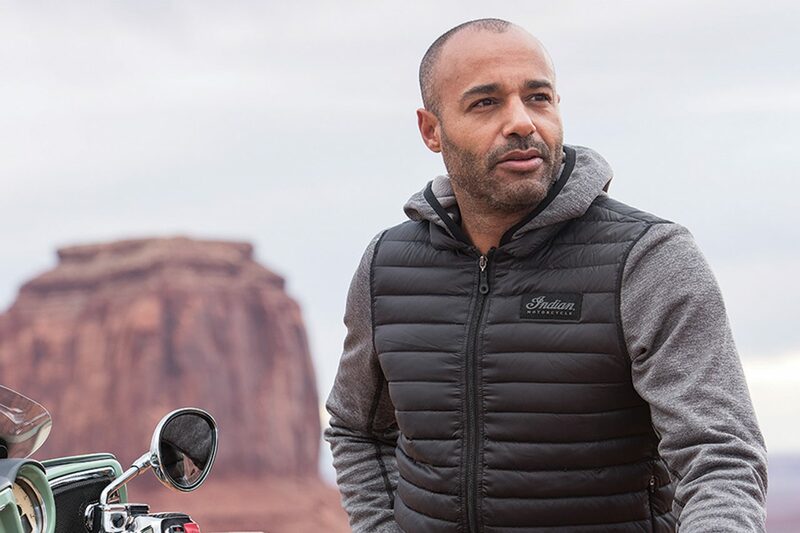 Ideal for all year round, the sleeves and hood are made from fleece-backed material offering all-over warmth while the central section is made of down-filled channels for warmth. 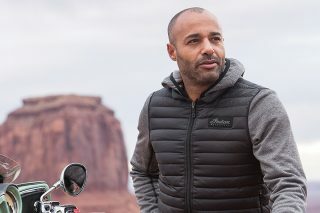 There are no big logos on this too; just a small and subtle Indian Motorcycle patch on the front.